Join the Exclusive Men’s List and Enjoy Exclusive Privileges! To be BlackListed, minimum purchase of P499 worth of L’Oreal Men Expert products, inclusive of the Pure & Matte Charcoal Black Foam. Also L’Oreal is having a contest where in you need to BLACKMAIL your friends! Surprise them and WIN up to 15000 worth of L’Oreal Paris Men Expert products. The more blackmails, the more chances of winning! Very interesting contest! I might share this to my husband, since he loves L’Oreal products. Does anybody knows if L’Oreal has acne scar removal? 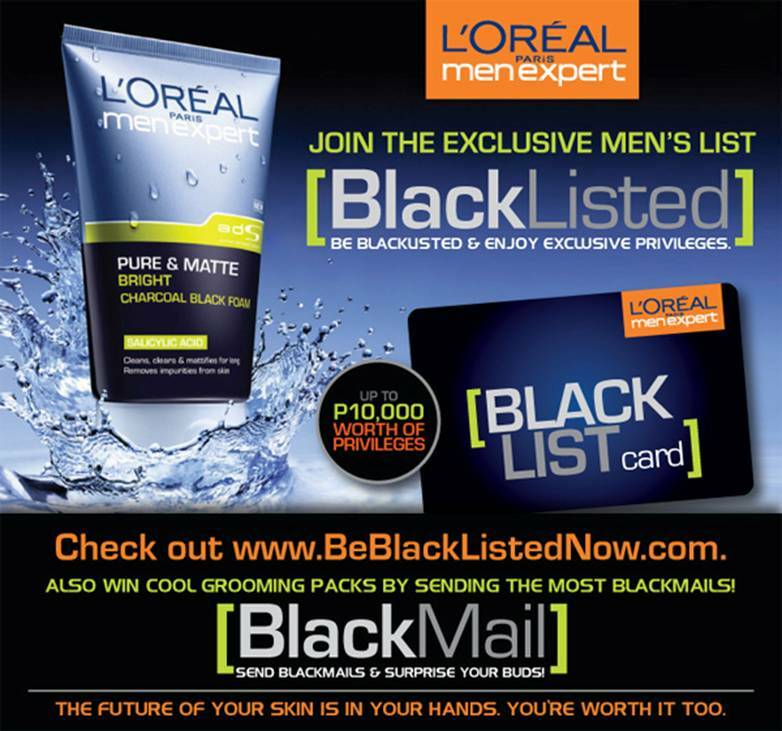 Anyway, to join the contest, like the L’Oreal Men Expert Philippines and just click the tab and send blackmails to all your friends.